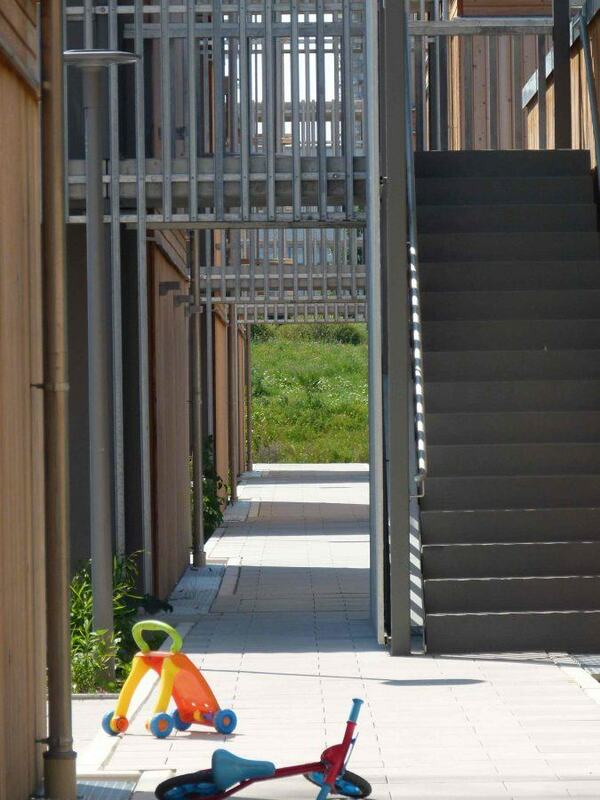 In 2016, the Munich municipal housing association GEWOFAG, together with the architect Florian Nagler and terra.nova landscape architecture, Munich, realised the first project of the housing program “Living for all” over a public parking lot next to the Dantebad, a public outdoor pool. 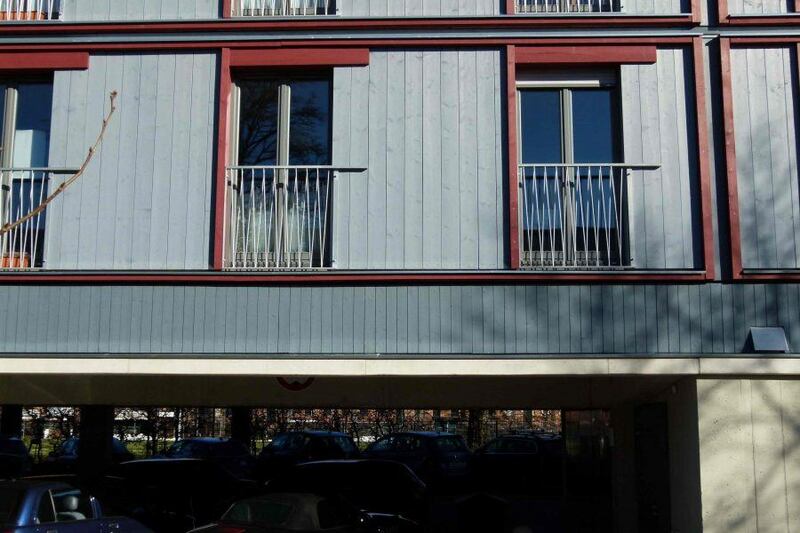 This project is a response to the need for living space in Munich and is the pilot project of a special housing program initiated by the Munich City Council in the beginning of 2016. 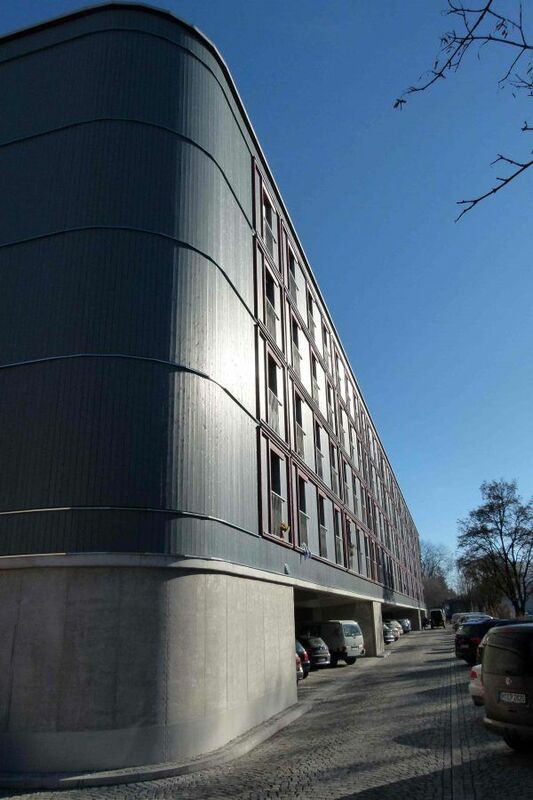 By 2019, a total of 3,000 subsidised apartments will be created at different locations in Munich. They are integrated into the urban planning context, built with high quality, but cost- effective materials. 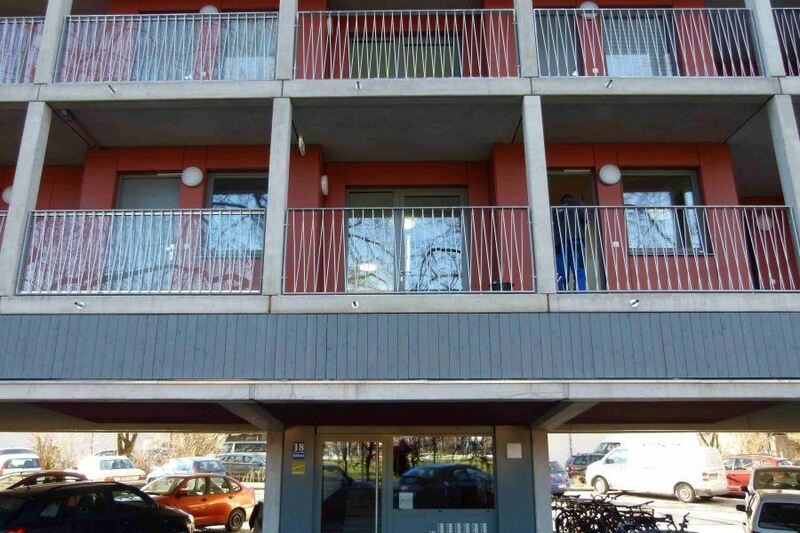 The tenants are people with low incomes, previously homeless people and recognised refugees. How to realise good housing within just 6 months? There were only six months between planning and the start of construction. The most important requirements were a good coordination of all participants, swift administrative action, rapid approval procedures and well-prepared construction sites. 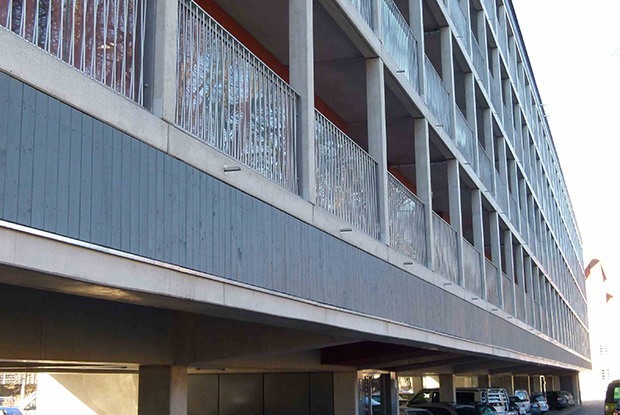 The building stands on a concrete frame construction with a reinforced concrete ceiling. It allows the preservation of public parking for visitors of the public outdoor pool, „Dantebad“. 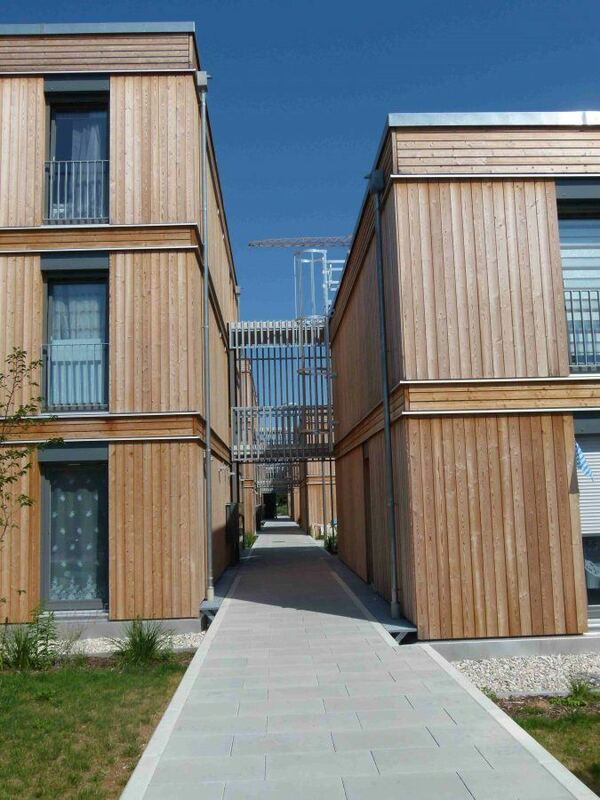 The total of 100 new apartments were built on four floors in timber modular construction. The axis dimensions of 2.91 and 3.66 metres generate different types of apartments, 86 one-room apartments from 24 – 31 m2 and 14 two and a half room apartments from 49 – 54 m2. The kitchen is oriented to the lively arcade and the private living and lounge areas to the quieter southwest side. Common rooms, arcades and spaces on the open roof terrace invite the tenants to meet. 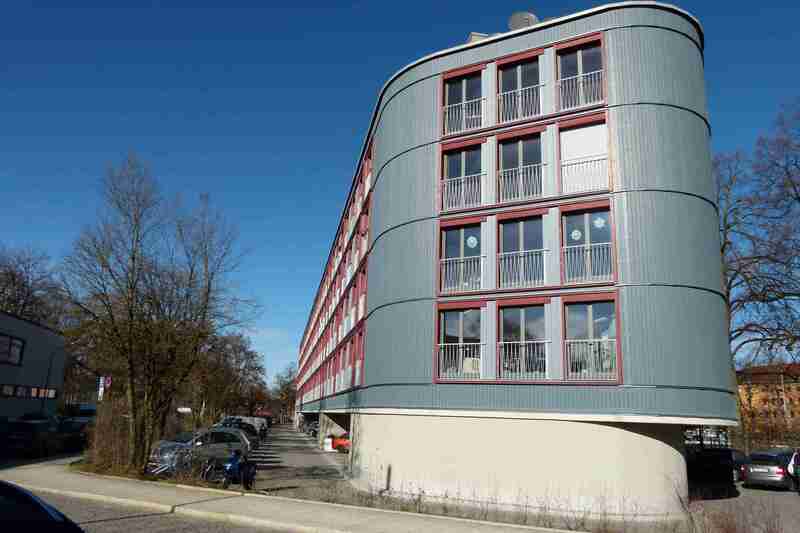 Another project, which was developed as part of the housing construction program together with GEWOFAG, is the residential complex in Schittgablerstraße by Laux Architekten with MAIER.NEUBERGER.ARCHITEKTEN, Munich. It consists of 45 apartments built in four 2 – 3 storey buildings. 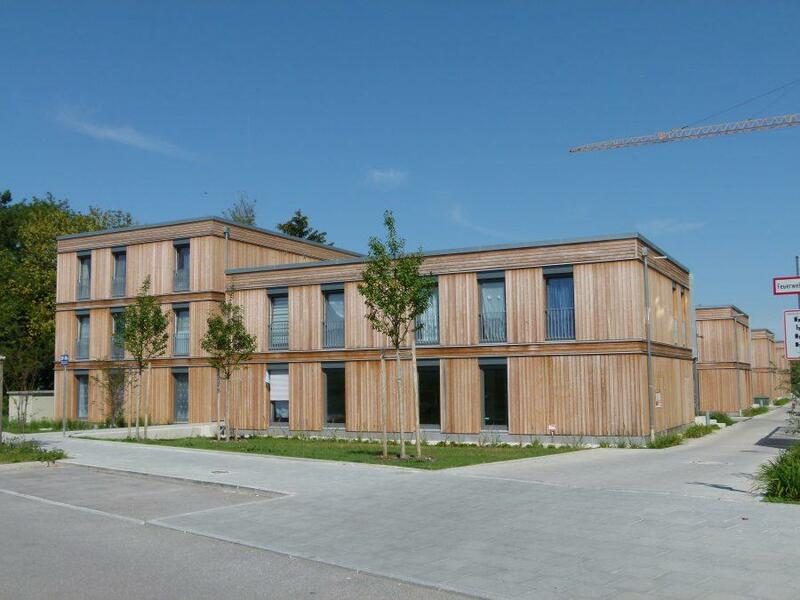 The modular timber construction, with a larch wood facade, creates a climate of high quality and a very appealing appearance. Four near identical buildings are framed by alternating green and enclosed courtyards. Further projects can be seen in Bodenseestraße (03 Architekten, MAIER.NEUBERGER.ARCHITEKTEN) and are being planned for the Erwin-Schleich-Straße (MAIER.NEUBERGER.ARCHITEKTEN). 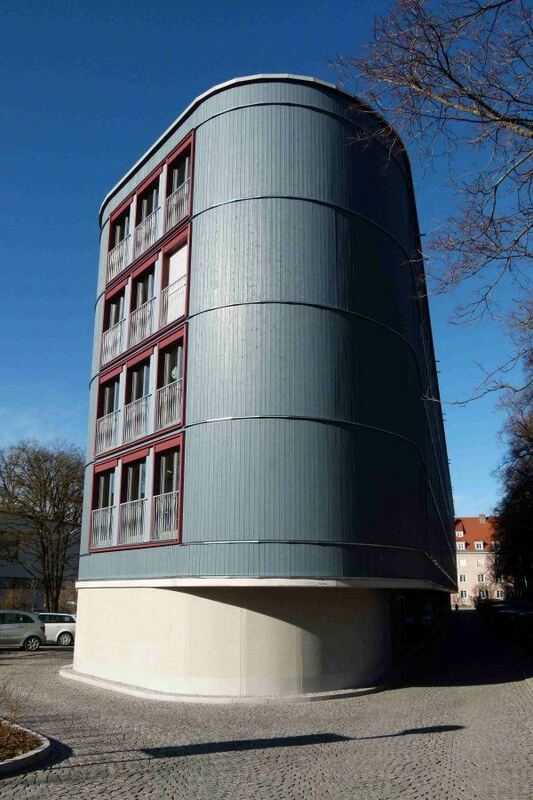 The project “Wohnen am Dantebad” has been awarded with the „Deutsche Bauherrenpreis 2018“ (German Builders Award 2018) in the category “Serial and Modular Building”. All projects of the alliance „Living for all“ („Wohnen für Alle“) have received a commendation from the “Deutscher Städtebaupreis 2018”.